We have ALL dreamed about winning the lottery. Lately, since I have been on the financial struggle bus…I have been dreaming of it way more than I should. Every once in awhile, my bf will buy some scratch tickets…just to see. If you look closely at the picture you will notice we won three dollas. However, that doesn't pay for the five bf bought, so technically we got a lottery discount. 1. An apartment with a washer and dryer in it…so technically I would spend a little more on rent. I cannot and will not wash our sheets, nice clothes, etc. in the community washers…it is just to gross (yes, I'm one of those girls). Ha, we still bring stuff to the parental's house to wash, shhh don't tell. 2. I would buy bf and I some more clothes. Like I stated before, the financial struggle is rough and that means no extra expenditures…and we need fall clothes. It's getting frosty here in SoDak. 3. I would buy a really big, really nice, Christmas tree! I am so excited for Christmas you have no idea. 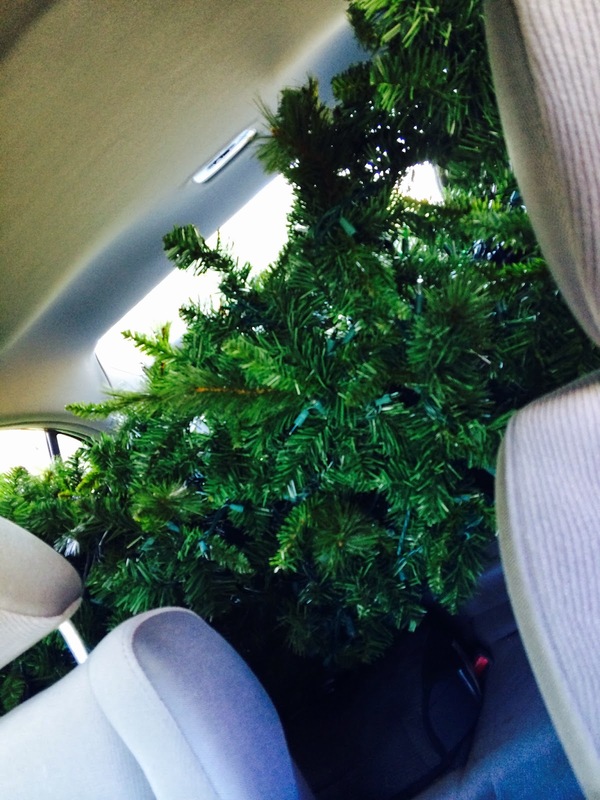 December is my jam…bf and I found a Christmas tree on the side of the rode last week and we obviously stuffed it in the back of my car. It had a sign that said "fo free." However, a real Christmas tree would be nicer and not so redneck. 4. I would save or invest most of it because there is nothing that I hate more than feeling like a broke, 20 year old. Seriously….save, save, save, budget, budget, budget…is my motto and always will be, even if I win the lottery. 5. Pay off all mine and bf's loans!! Peace out monthly payment. 6. Take a trip to Greece, Australia, and Bora Bora. Hellllooooo three month vacation!!! Well, you have heard what I would do if I won the lottery and now it's time to bring my head out of the clouds and get to work…but what you do if you won the lottery?? I'll meet you in Bora Bora!! :) Ha how much do I love that tree stuffed into the car?? Can't wait for that vacation! 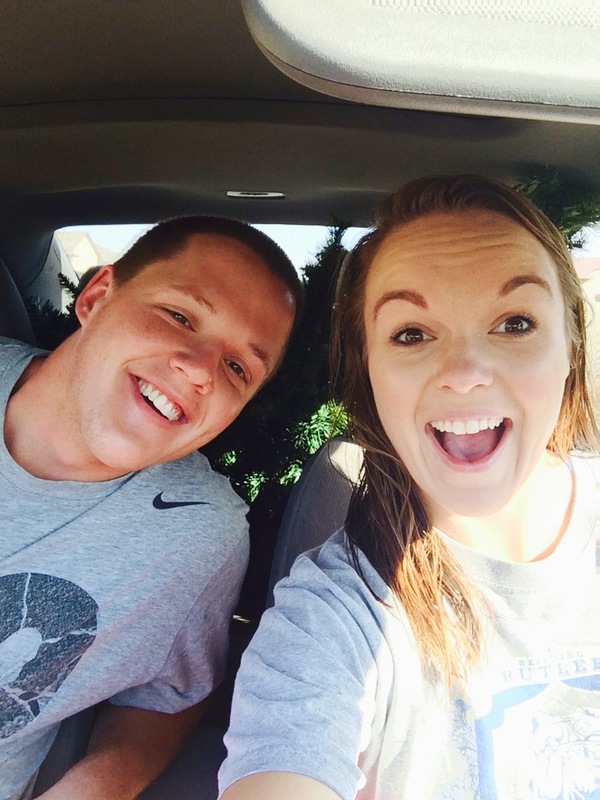 Yea after we stuffed the tree in the car we made off like bandits…mostly because we were a bit embarrassed! Ha!